At HomePro, we are the honest, committed roofing company you can depend on for prompt roofing repairs and replacement. Whether your roof has been damaged from a storm or time has worn away several areas of your roof, HomePro can provide the immediate service you need. 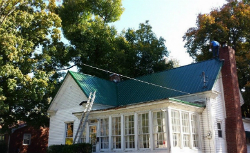 HomePro is a veteran-owned and -operated roofing contractor serving all of Western Kentucky, including Cromwell, KY; Bowling Green, KY; Owensboro, KY; and Beaver Dam, KY. We are an Atlas Signature Select Installer offering lifetime warranty and a 20-year no-prorated warranty on labor and materials. You won’t find a roofing company in the area that’s more dedicated to putting your needs first. We don’t just stand by 24/7 for all your roofing emergencies; we deal with your insurance matters to provide complete service. As a local, family-owned business, we truly care about restoring your roof. 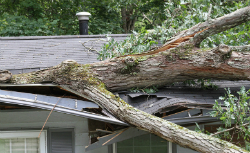 HomePro provides roofing repairs, storm damage restoration, and full roof replacement. Day or night, you can rely on our experienced, detail-oriented team. Call us today to schedule an appointment.